Furious 7 stunt driver has taken over the controls (and ownership) of MotoIQ Project Nissan 350Z! Our 350Z project was originally built as a reliable street/track performer, but like any car with an overworked odometer the miles have been stacking up and the original engine finally threw in the towel. It's no surprise either, as it has been in the hands of stunt driver Jay Lynch for almost the past year. Jay has not only been using the car to work on his stunt driving techniques, but Jay has also been using the car to pass down his driving skills to his daughter Brionna Lynch. Jay has been performing stunts for over 30 years and during this time he's built up quite the resume. With hundreds of filmed stunts performed, prestigious stunt award nominations, and member of Stunts Unlimited Jay is a seasoned driving professional and a great addition to the team. As he will be able to push our Project Nissan 350Z to its absolute limits, making it the perfect test bed for the performance upgrades we have in store for it! The old girl resting at MotoIQ Mega Shop patiently waiting the next wave of upgrades. If you look closely at the condition of the original black paint on our Project 350Z you'll notice that it was very weathered and in bad need of its new paint treatment. Brionna and Jay during one of our project planning sessions. As you can see, the engine has been yanked out in preparation for more go-fast goodies. With stunt driving lessons in the near future for Brionna, the plan will be to give the Z a power increase while retaining its on-track reliability. On top of the internal engine upgrades we have planned, we will also be addressing its current cooling and race track safety deficiencies. “I’ve looked up to my dad for as long as I can remember. If my dad did anything he always made sure it was done right, he never half-assed anything and I know that because I’ve been watching him work my entire life. When I was only a few months old and he would be working on his motorcycles in the garage he would sit me right there with him. I got my first dirtbike when I was 3 years old, by the time I was four my parents put me in gymnastics which I did until I was 16 and then took a 3 year break due to training in other areas. Quads have seemed to be my vehicle of choice since I got my first one on my sixth birthday. I would ride my dirtbike too, but I didn’t find it anywhere near as fun. As I got older the sports just got more and more extreme. The sports I had been doing since I was a kid led me to having a “no fear” type personality. I got my driver’s permit when I was 16 years old and by the second day of being behind the wheel I was starting to figure out how to slide my first car around an empty parking lot. I had done quite a few donuts in my little Pontiac solstice which was RWD so as soon as we started getting some snow on the ground I was in the parking lot more and more often, eventually I got a little ballsy and started sliding my parents cars around in the snow too trying to learn now different vehicles react. My moms Nissan Armada was a little more scary to slide around than my dad’s Camaro 1LE but that , to me , was even more reason to practice in that more often than my dad's car. 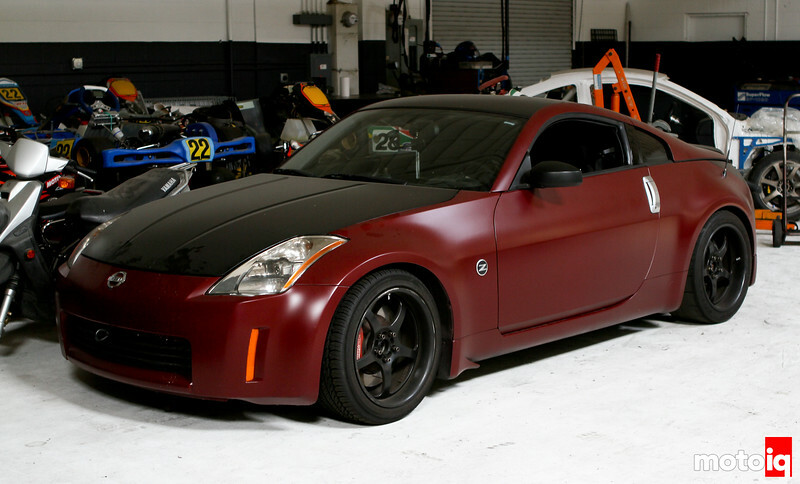 A sneak peak at what we have in store for our Project 350Z. Stay tuned in the coming months as we begin to take you through our VQ engine build. 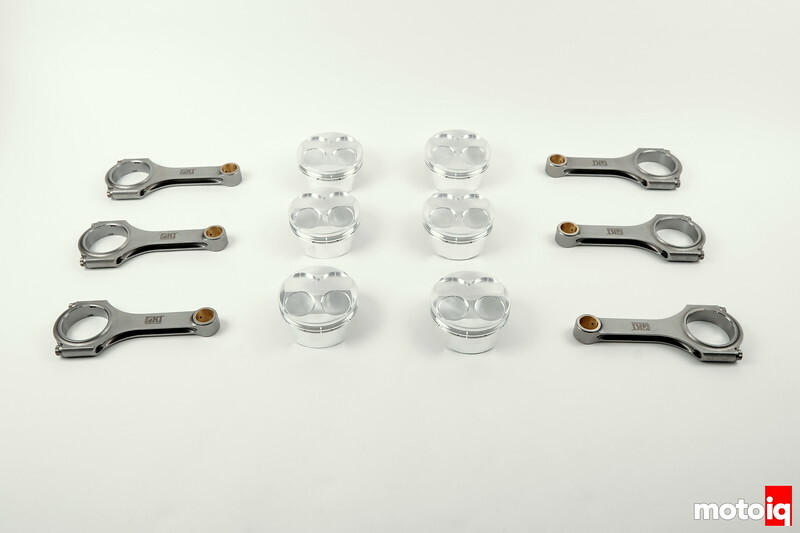 We will be boring out our VQ to 96mm and using higher compression JE Pistons and K1 rods. Jim Wolf Technologies will be providing their guidance and parts to make the most out of our VQ's head. We've also secured the latest radiator offerings from KOYO and you can be sure you'll be seeing some upgrades to keep all our vital oil temperatures under control. 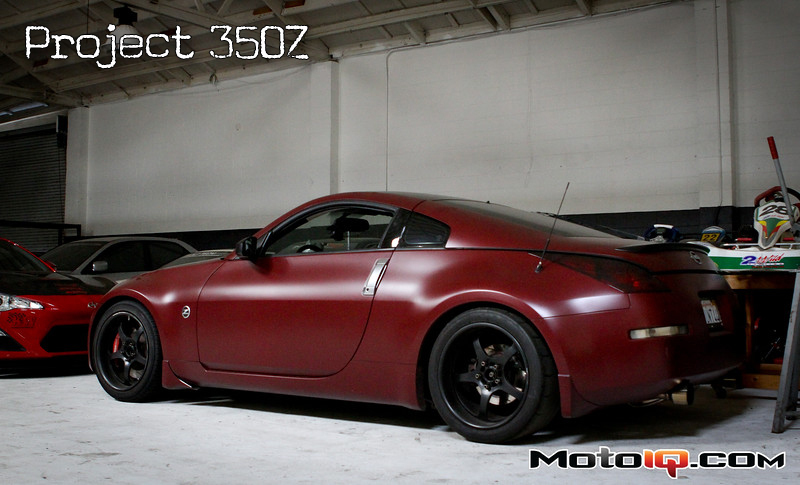 Hope you're as excited as we are about the next phase of our Project 350Z and where we will see its pilot next. Maybe a TV commercial, movie, or even the FD circuit! Spotted: The New 2016 Sixth Generation Chevy Camaro!